PARASOL PANIC: No injuries have been reported. 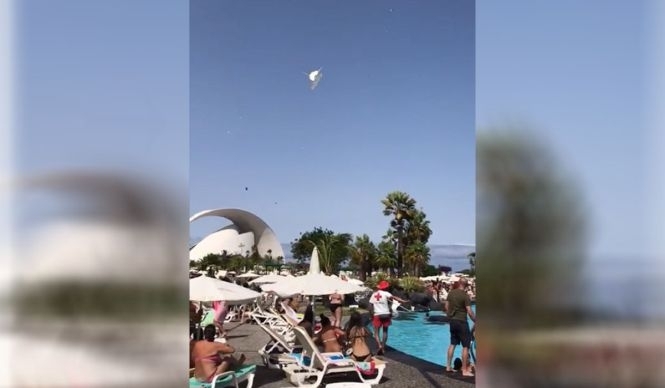 THIS is the moment flying parasols sparked panic in Tenerife after strong winds sent them hurtling through the sky. Terrified sunbathers fled as they dropped at speed, with the angle of the sun making it difficult to see where they were going to land. Children can be heard screaming in the footage as the debris swoops towards the ground while other parasols are picked up by the powerful gusts. The clip was shot at the Parque Maritimo leisure complex in Santa Cruz de Tenerife, a destination popular with British holidaymakers. And the video went viral after being posted on social media, attracting more than 115,000 views. 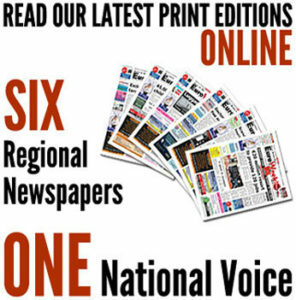 No-one was hurt during the incident, with employees collecting the paraols after they eventually fell to earth, according to local media reports.